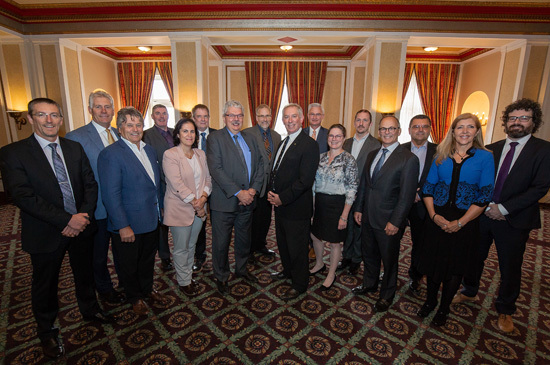 The Transportation Association of Canada (TAC) is a not-for-profit, national technical association that focusses on road and highway infrastructure and urban transportation. Our 500 corporate members include all levels of governments, private sector companies, academic institutions, and other associations. TAC provides a neutral, non-partisan forum for those organizations, and their thousands of staff, to come together to share ideas and information, build knowledge, and pool resources in addressing transportation issues and challenges. TAC is governed by a Board of Directors elected from all levels of government, the private sector, associations and academia. The Board sets the strategic direction for our organization and oversees TAC’s volunteer councils and committees. Our councils and committees share knowledge, exchange information and discuss a wide variety of issues to advance the state of transportation. This collective exchange helps develop and update TAC’s national guidelines and best practices. It also helps provide researched solutions to address the current and future challenges faced by the transportation industry. Participation in our councils and committees is available to TAC members. Consider becoming a TAC member to benefit from information, preferred pricing on a variety of products and services, and more. The TAC Secretariat provides staff support for the Association's activities. 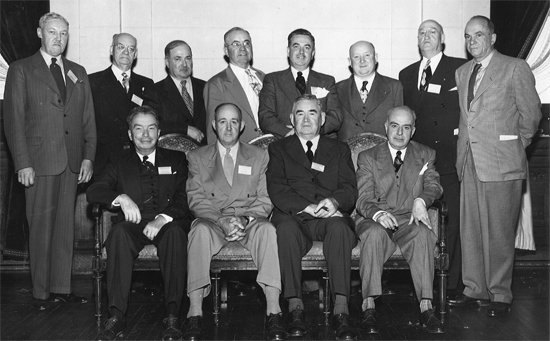 The origins of TAC date back to 1914, when the Canadian Good Roads Association (CGRA) was founded. At that time, CGRA was mainly concerned with the establishment of a superior national road network and was one of the main forces behind construction of the Trans-Canada Highway. During the 1950s, CGRA became more involved with specialized technical activities. By the 1960s, its role had broadened, resulting in a name change to the Roads and Transportation Association of Canada (RTAC) in 1970. Throughout the 1970s and 1980s, RTAC continued to expand its mandate to include all modes of transport for passengers and freight. In 1990, we changed our name to the Transportation Association of Canada (TAC) to reflect the increased scope of activities. In 2001, a more focused mandate was adopted, with a particular emphasis on roadway infrastructure and urban area transportation issues. In 2014, we celebrated our centennial anniversary. In reaching this milestone, we celebrated the past, present and future of transportation in Canada by inviting our members, partners, key transportation stakeholders, and students to take part in this year-long campaign. TAC Centennial Video / Vidéo centenaire de l'ATC from TAC-ATC on Vimeo. Learn more about TAC’s history, present and future by watching this special TAC Centennial video, which features insights from some of the Association's leaders.